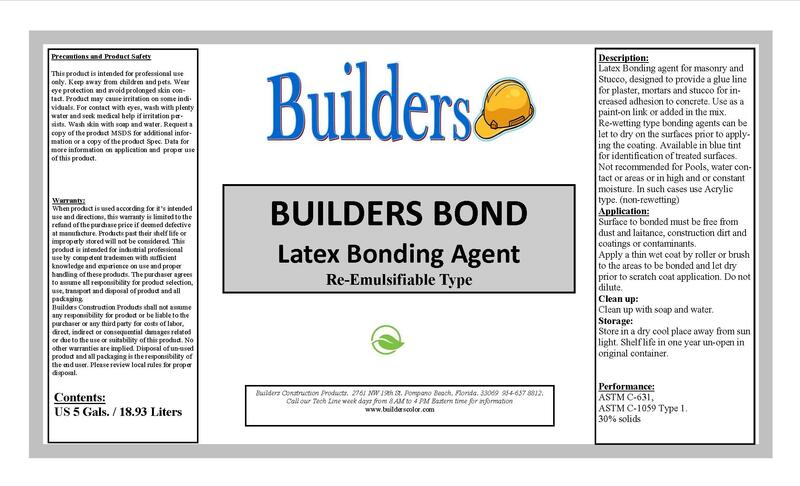 Builders Bond is an economical re-wettable type PVA bonding agent for Plaster and Mortars. Can be used to add in the mix to give it cohesiveness and better paste performance. Used in areas other than water contact, and constant moisture. 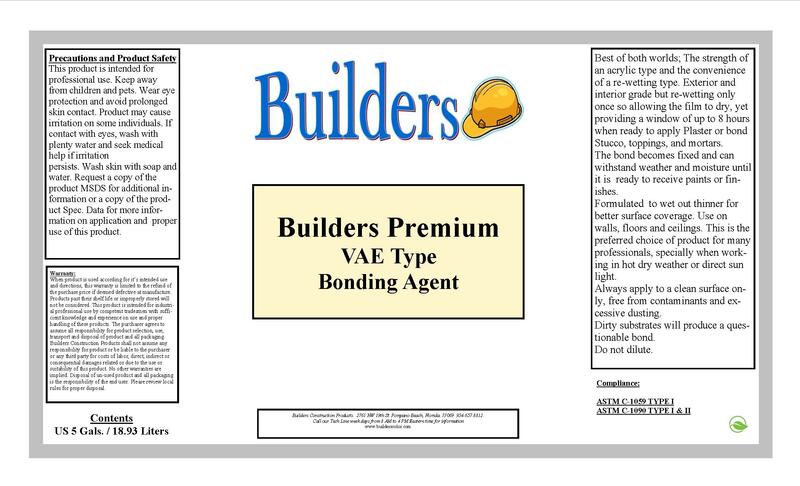 VAE Bond is a "only once re-wettable" Bonding Agent for mortars, Plasters and thin toppings. Surface applied or added in the mix. For plaster work, it can be applied and let dry with an open time of up to 8-10 hours for bonding. Higher in performance. Can be used in exterior un-guarded applications without re-wetting after coating cures. 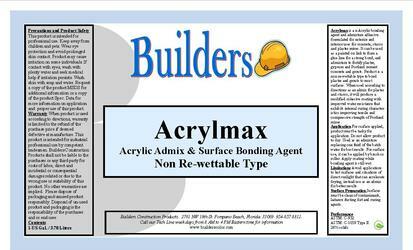 Acrylmax is a Non-rewettable Acrylic bonding agent to bond mortars, plasters and thin toppings to most surfaces. Mortars to be applied while product is still wet for bond. Acrylmax 60 (higher solids) is also available. Not affected by moisture after it fully dries. Can be use as modifier to add in the mix for maximun performance of all cement and gypsum mixes. 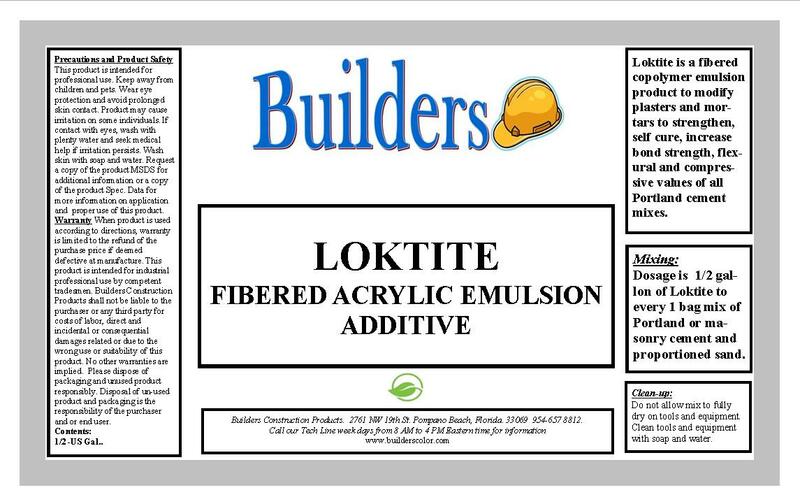 Locktite is a fibered acrylic co-polymer admix to fortify all Portland cement mortars, grouts, thin toppings and plaster mixes, ultimate performance for self cure and hardness. Mostly used in scrach coat for plasters and all other mortars and thin mixes and toppings to guard againt premature failures due to moisture damage. 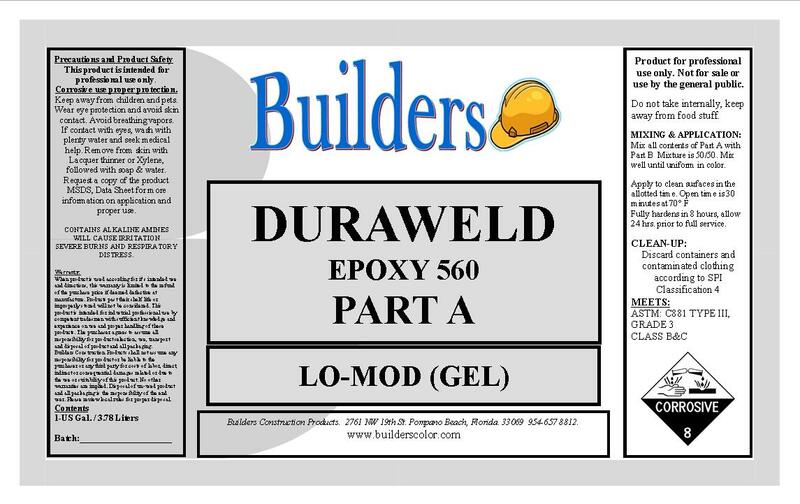 Duraweld 560 is a 2 part structural adhesive epoxy GEL suitable for setting rebar, glueing precast and overhead repairs on restoration projects, machine bases and many uses where a viscous epoxy no-sag material is needed. Add fine Silica sand to make a mortar. 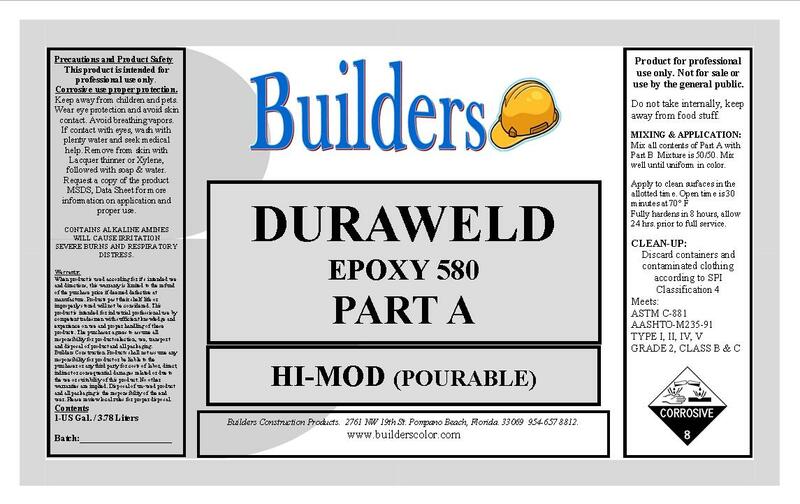 Duraweld 580 is a 2 part epoxy Syrup consistency. Pourable epoxy bonding agent suitable for structural bonding of Portland Cement concrete toppings, rebar and metal reinforcements setting. All around useful and permanent adhesive for repair and as a bonding agent and many other structural uses. Add fine silica to make a mortar. 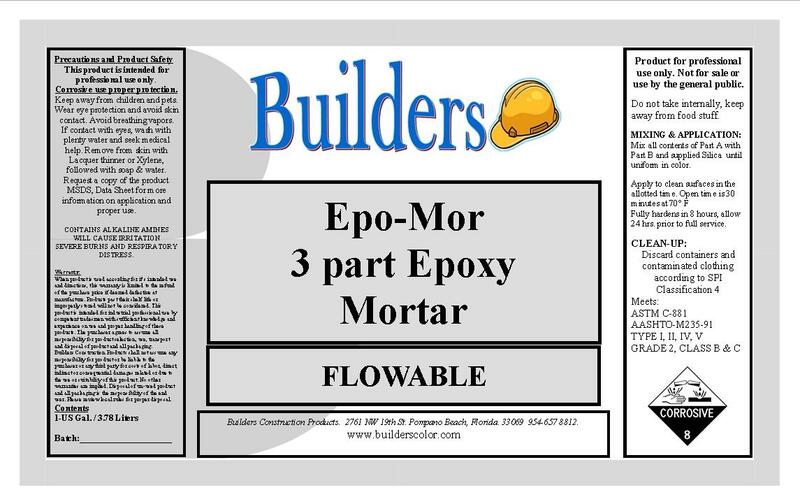 ​Epo-Mor is a 3 part epoxy mortar mix for installations on spall repairs and formed vertical repairs. Can also be used in machinery bases and embedding of metal reinforcing. Consists of a 2 part epoxy binder and selected Silica sand. all 3 are mixed to make a mortar. Available in non-sag or flowable.